January 18 - March 2, 1930: "Painting in Paris" exhibition at The Museum of Modern Art. 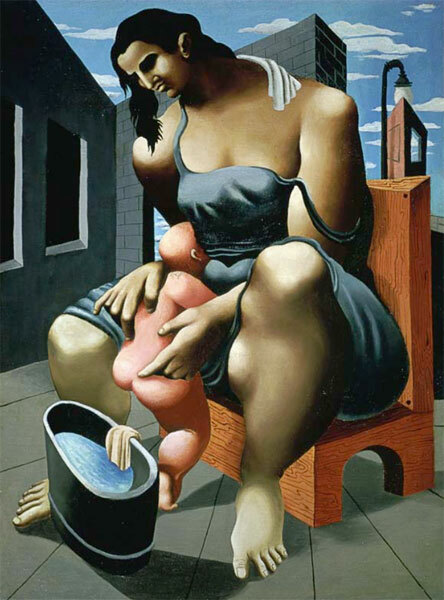 1930: Philip Guston paints Mother and Child. Guston later recalled in reference to the painting, "I painted this when I was only seventeen, in a closet with Dutch boy house paints." (MM16) He would exhibit the painting in 1933 at the 14th Annual Exhibition at the Los Angeles Museum. c. 1930: Milton Avery moves to 72nd Street. c. 1930: Arshile Gorky visits his girlfriend's father in an insane asylum. Early 1930s: Willem de Kooning, John Graham, Stuart Davis and Arshile Gorky hang out at the Jumble Shop and Romany Marie's. ... there was a sprinkling of younger artists who also found their way into this progressive circle [Gorky, de Kooning, Graham and Davis], notably the sculptor David Smith... On many nights in the early 1930s, Gorky, Graham and Davis could be found, surrounded by attentive clusters of friends and disciples, at their two Village haunts, both left over from the bohemian days of Greenwich Village at the turn of the century. Davis's was the Jumble Shop, a coffeehouse and restaurant on the corner of Eighth Street and MacDougal Alley near Washington Square Park, the heart of Greenwich Village. 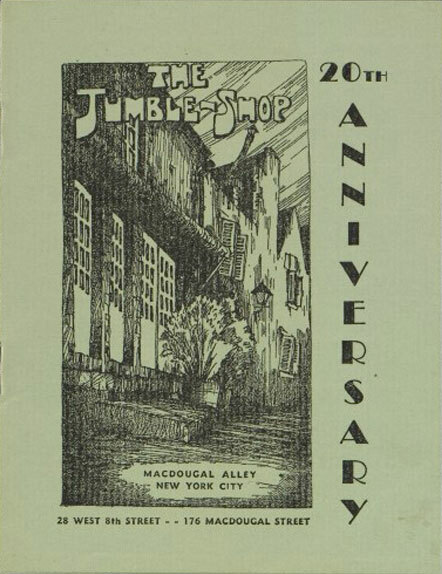 Twenty years earlier, the Jumble Shop had been the gathering place of Thomas Wolfe and other writers... Just down Eighth Street from the new Whitney Museum, which opened in 1931 at 10 West Eighth Street, it mainly attracted the American realist painters, along with Davis [whom the Whitney had also recognized) and his little band of modernists. In addition to being a "coffeeshop and restaurant," the Jumble Shop also exhibited the work of artists. I worked with my wife in a book store on Eighth Street, the International Book and Art shop. The man who ran it is dead now, Joseph Kling. He was a crotchety character, but he knew his literature, he knew his poetry. He taught us E.E. Cummings and T.S. Eliot and many of the good writers. And he also kept a lot of prints in his shop and etchings. In fact, he was the one before I ever worked in his shop when I showed in an outdoor show, I think, in '31 or '32 - that was the only time I showed in a Washington Square show with those little gouaches I told you about - because I used to buy prints from this fellow, I asked him to keep my bundles in the back of his shop so I didn't have to drag them back to Jamaica [Long Island]. And when the week was over, whatever it was, when the period was over, the Washington Square exhibit, he gruffly told me to unpack them and show him the pictures and told me to lay aside a few [in the roughest manner possible], and then he asked me how much I wanted for each of them. I think at that time I asked three, four, or five dollars for each of them. And he bought a bunch and he showed them and he sold them. March 12 - April 2, 1930: "Weber, Klee, Lehmbruck, Maillol" exhibition at The Museum of Modern Art. Ninety-eight works by Max Weber were included in the exhibition. April 11 - April 27, 1930: Arshile Gorky exhibits at the Museum of Modern Art. May 1930: Adolph Gottlieb has his first one-man show - at the Dudensing Gallery in New York. Adolph Gottlieb was the first prize winner (along with Konrad Cramer) of a nationwide competition in 1929 sponsored by the Dudensing Gallery. As an award the gallery gave them both one-man shows in different parts of the gallery. May 27, 1930: The Chrysler Building opens. At the time of its completion it was the tallest building in the world due to a 125 foot high spire added to the roof during its construction in 1929. It would be surpassed by the Empire State Building when it opened the following year. Late May/Early June 1930: Willem de Kooning goes to Woodstock. June 1930: Jackson Pollock's brothers visit Jackson in L.A. Autumn 1930: Willem de Kooning and Nini move house. Autumn 1930: Willem De Kooning's girlfriend has an abortion. Autumn 1930: "Picasso Drawings and Gouaches" at the John Becker Gallery. Autumn 1930: Franz Kline has an operation. 1930: Philip Guston enrolls at Otis Art Institute in Los Angeles. While at Otis (on a scholarship), Philip Guston befriended Reuben Kadish and also met his future wife, Musa McKim. 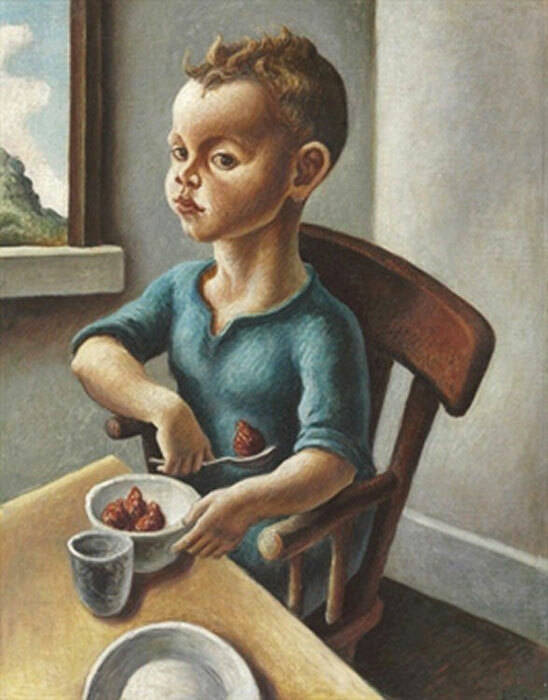 Guston's daughter, also named Musa, would later marry Kadish's son. During the 1930s Kadish and Guston would work on several murals together including a proscenium arch over a stage (with Sande Pollock) in 1934, a mural for the University museum in Morelia Mexico during 1934/35, The Inquisition in 1934/35 (with Jules Langsner), and the City of Hope mural in Duarte California painted in 1935/36 (and restored in June 1998). In 1935, when Time magazine published an article on the Morelia fresco by Guston and Kadish, the article referred to both artists as "parlor pinks" who were "influenced by a Los Angeles esthete known as Lorser Feitelson" who "was anxiously trying to burst in the news... as the prophet of a new art movement called Post-Surrealism or New Classicism." 1930: Miró's first solo exhibition in America at the Valentine Gallery. September 1930: Jackson Pollock moves to New York and enrolls at the Art Students League. Jackson Pollock followed his brothers Charles and Frank to New York. Accompanying him was Manuel Tolegian, previously his classmate at Manual Arts. 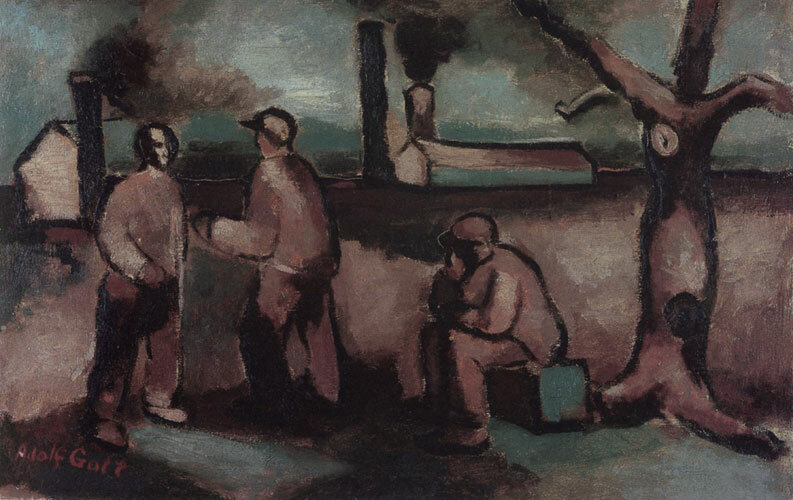 Benton later recalled in his autobiography, An Artist in America (first published in 1937) that Jackson's artistic abilities "seemed to be of a most minimal order." (JP52) In a rough draft of a letter to Francis V. O'Connor in 1964, Benton noted that Jackson Pollock "got things out of proportion but found their essential rhythms." (JP53) A fellow student at the League, Yvonne Pene du Bois, later recalled that Jackson "couldn't draw, and he knew he couldn't draw, and I think it made him miserable." (JP52) However, Pollock's paintings from the period show a greater skill than either Benton or de Bois gave him credit for.